Both western and eastern central banks are now fully supporting gold. 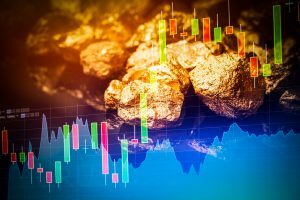 Precious metals investors can, with total confidence, buy and hold physical gold, silver and platinum in the knowledge that central banks, both in the west and the east, will guarantee that the price can only go up. But the support from west and east is very different. Western central banks have not been friendly to gold for decades as they have significantly reduced their holdings. Central banks’ total gold holdings went from a peak of 38,000 tonnes in the early 1960s to 30,000 tonnes in 2006. The sellers were almost exclusively western banks. Central banks were selling into a falling market, and actually causing the rapid drop in the gold price. Both the Bank of England and the Swiss National Bank sold most of their gold at the lows. So much for western central banks understanding gold. Up for discussion: The higher the debt, the higher gold goes; galloping debt cannot be financed; a total catastrophe of the currency system; western banks reducing gold holdings; next phase—gold buying, west and east; and banks continuing to block clients.